Winter hangs on stubbornly this year. Yet, in spite of lingering snow falls and temps hovering in the low 30s, the natural world slowly awakens. During the night I heard a flock of tundra swans call to each other as they migrated north. Robins carol and cardinals sing in the early morning darkness. 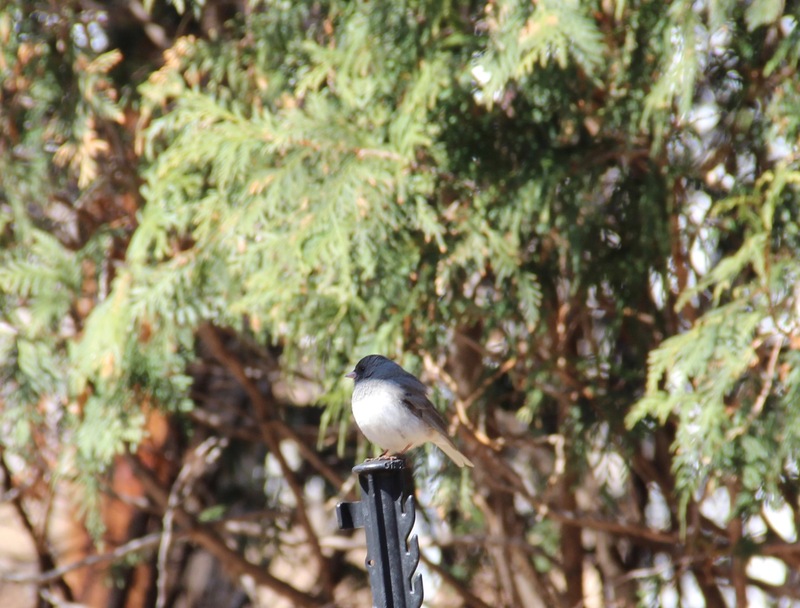 Later in the day, dark-eyed juncos trill as they search the sunny exposed parts of our garden for last year’s seeds. The tiny birds have been daily visitors since October and soon will depart for their summer home in Canada. Dark-eyed juncos (Junco hyemalis) will soon migrate to their breeding territories in Canada. Ivory-petaled snowdrops are ready to bloom.The first Siberian squill bulbs poked through the cold, wet soil of our back garden at the same time as the tiny, sharp leaves of iris. Silver maple buds glow rosy and round in the late afternoon sunlight and the soft, furry catkins of quaking aspen have emerged. 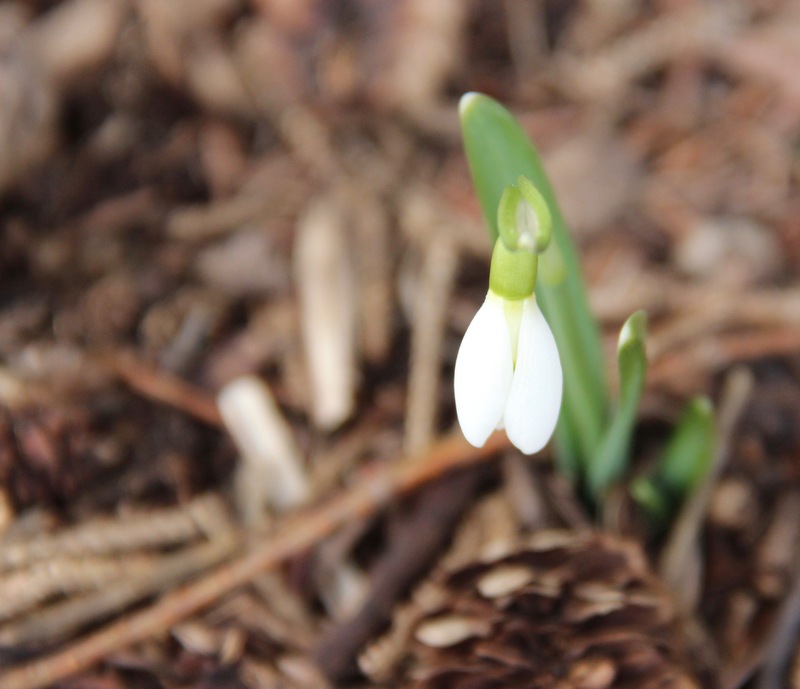 A snowdrop (Galanthus nivalis) blossoms in a sunny spot beneath a spruce tree. 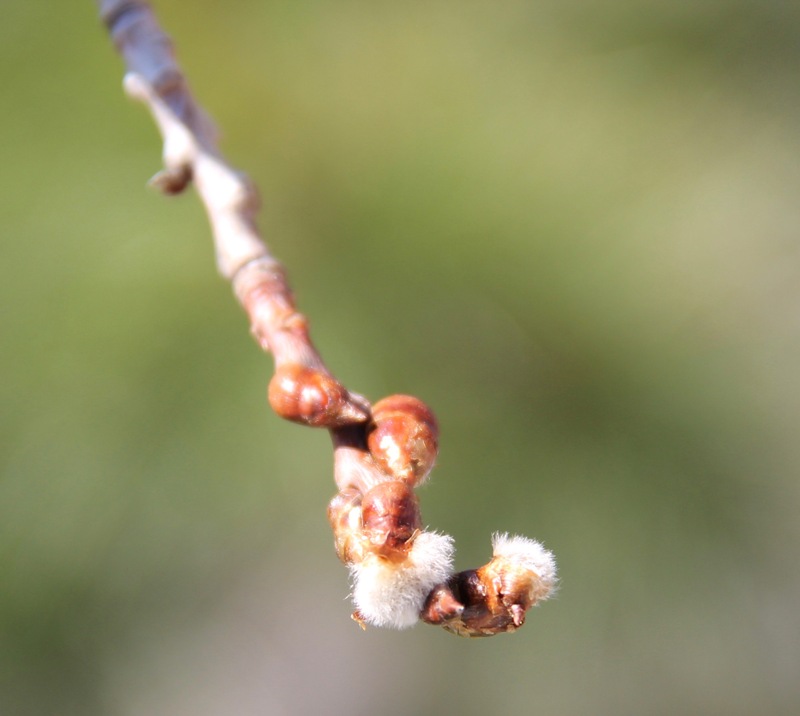 Quaking aspen (Populus tremuloides) flowers begin to emerge. I want this slow showing of spring to speed up, but it should not be hurried. 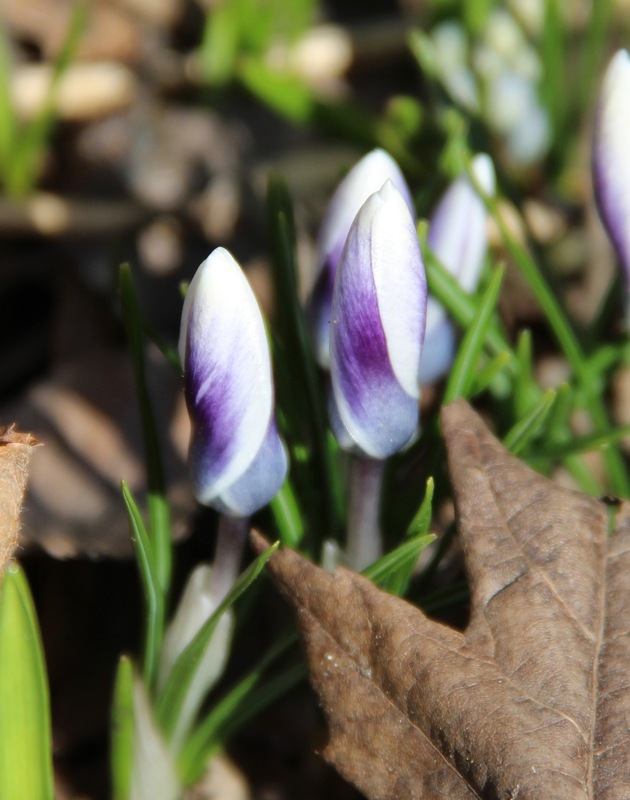 Soon enough I will want the season to slow down — it all happens in such a rush once it gains momentum in May, and hurdles toward blossoming, fruiting, and autumn once again. I have learned that, as with all of life’s special times, it is better to wait for, notice and welcome each change; to savor the whole unfolding of new life. Crocus chrysanthus ‘ladykiller’ usually bloom in April.